It’s Monday, and I’m kind of having trouble getting my mind back on work. I have several different things going on with friends. But I am determined to get some things done today. I have several things I try to do each day that I work. Writing this blog is pretty much a must. Working through e-mail is another thing I do every day unless something unusual happens. And the third thing I try to do is to keep up with travel news. That is going to be more important as I hopefully get more and more clients to work with. It is important to keep current with news when you’re making travel recommendations and things like that. Reading the news is my inspiration for today’s post… London is getting ready to open its fall season for their plays. London is known for its plays, maybe in part because one of the greatest playwrights of all times [meaning Shakespeare] lived there. This is one place which people spend more money on plays than they do watching movies at the theater. 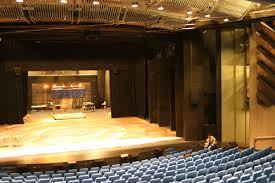 There are more than two hundred play theaters in the great city. I read in another story that London is one of the more expensive cities in Europe, but you can pay less for your plays here than you would in New York [I’m assuming that they’re talking about Broadway here]. And people come from all over the world to see these plays. I am going to stop here. I would love to hear from anyone interested in taking a trip. I am ready to start working on another trip.